All babies cry. That is a fact of life. Some babies cry more than others and some have what doctors call colic. [tag-cat]Colic[/tag-cat] basically means the doctor has no idea why the baby is crying. There are some things you can try to soothe your fussy baby and restore peace to your home. 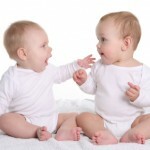 Each baby has his own unique preferences, so you will have to try several methods to see which work best. Motion is soothing to many babies. The type of motion the baby likes will vary. You can try a baby swing for a short period of time or a vibrating bouncy chair. Walking the baby and swaying in a rhythmic motion is effective for some fussy babies. Others prefer to be rocked in a rocking chair. Through trial and error you will discover which methods work best for your baby. Sounds can be soothing. Many babies respond to white noise. This can be a fan, the dishwasher or the vacuum cleaner. 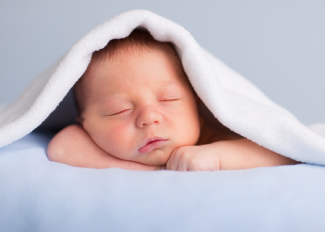 White noise machines are sold that play a variety of white noise sounds to soothe your baby to sleep. Some babies prefer the sounds of soothing music or nature sounds on CD. Sucking can be helpful for calming a crying baby. Some babies have higher sucking needs than others. Babies are often calmed by breastfeeding and some will linger to comfort nurse. A pacifier can be helpful if your baby has a very high sucking need. Before using a pacifier, be sure breastfeeding is well established. Most experts recommend waiting at least four weeks before introducing the pacifier. Wearing baby in a sling can be a lifesaver when you have a fussy baby and still need to get things done. The baby will be lulled to sleep by the motion of your movements. You will still have free hands to fold the laundry or get a snack for your older child. Once the [tag-cat]baby[/tag-cat] is asleep, you can slip the sling over your shoulder and ease the baby into the crib. Holding a colicky baby in certain positions can help calm the tears. The football hold is effective for many colicky babies. Hold the baby’s head in the bend of your arm with her belly facing down. The baby’s belly will be across your forearm. The pressure of your arm on her tummy can help relieve gas pains. Swaddling a baby is very calming and prevents the baby from startling and waking. Babies are comforted by swaddling because it reminds them of the closeness and security of the womb. The nurses in the hospital are experts and can teach you to master this art. 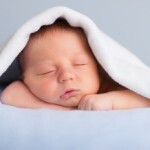 Swaddling blankets are available and make wrapping the baby easier. Take a walk to give yourself a break and calm your baby. The change of scenery and fresh air may be enough to relax the baby. You can either wear the baby in the sling or push him in the stroller. Getting out of the house will be good for both of you. A walk is great for stress relief. Take a drive to get your baby to sleep. This is an old, but still very effective way to soothe a crying baby and get her off to dreamland. Take a drive around the neighborhood and play some soothing music to relax your baby and get her to sleep. Now all you have to do is get her back in the house without waking!